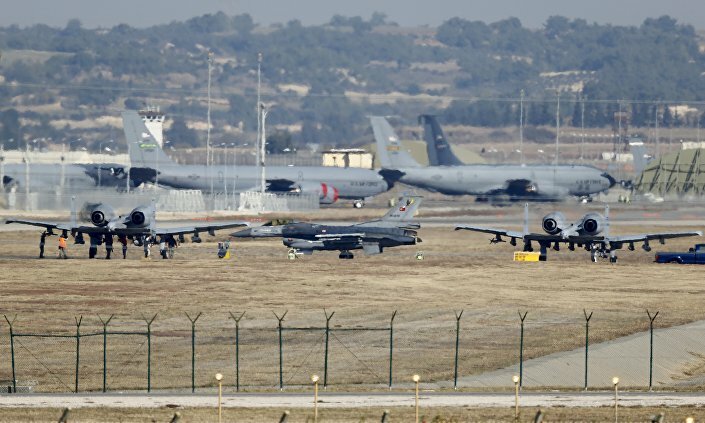 Incirlik residents and local politicians have called on Ankara, demanding the expulsion of American troops from Incirlik Air Base and that the base be handed over to the Turkish military. Speaking to Sputnik, Turkish civilians explained why they're protesting against the US military presence in their country. "American troops should leave Incirlik Air Base!" residents of the neighborhood of the same name in the Yuregir district of the Turkish city of Adana say, amid the escalation of tensions between Ankara and Washington. Sputnik reached out to the enraged civilians, asking them to explain their discontent. "The US has unleashed a war on Turkey, using the arrest of the pastor as a pretext," Mehmet Kaya, a town-dweller, said, referring to the ongoing diplomatic row over the fate of American Evangelical missionary Andrew Brunson, indicted in Turkey on charges of links with Fethullah Gulen's banned movement. "The US was behind the coup attempt on July 15 . They do not want other countries to develop; their only goal is to put other states in a position of dependence upon Washington. Turkey's decision to buy the S-400 (missiles) from Russia has thrown the US off balance, as they want to control the whole world." According to Kaya, the US sows discord and destruction wherever it goes: "[Washington] entered Syria, Iraq, Tunisia and Libya, and these territories have been reduced to ruins," the Turkish citizen said. "In Syria, people used to live in peace and unity, but when the US came, massacres began, brother turned on brother, and chaos erupted." Another Sputnik interviewee, Abuzer Tuncer, suggested that US President Donald Trump "had gone mad" when he had chosen Turkey as his target. "The US launched a war against Turkey and the entire world economy. They do not want Turkey to develop and prosper. In fact, they are our main enemy. The US does not give us weapons that we bought from them for our own money, but at the same time supply weapons to our enemy — the Kurdish self-defense units. Moreover, they oppose the purchase of S-400 (missiles) from Russia," Tuncer said, citing the scandal over Turkey's suspended procurement of the F-35 stealth fighters from the US, which was restricted by American lawmakers because of the Turkish-Russian S-400 deal. According to Mehmet Erdem, an Adana resident, there is a necessity to form a united front of activists, political parties and movements of the region to close the Incirlik base. Turkish citizens Mehmet Celik and Neziyet Sermin recalled that the base had become the main foothold of coup plotters in July 2016. During the attempted coup of July 15, 2016, an aerial tanker carrying the fuel for the F-16s used by the military conspirers got off the ground at Incirlik Air Base. It was the first time, when the base had become the bone of contention between Ankara and Washington and triggered massive protests in the region. "The Incirlik base is a hotbed of evil," Celik said, stressing that US military personnel should leave the air base. He highlighted that not only Turkey had fallen prey to Washington's tariff and sanctions spree, but also Russia, China and Iran. Additionally, US measures against Turkey and Iran had finally backfired on European companies, he added. According to Celik, what Washington is doing amounts to nothing short of "international banditry." However, ultimately, the US will isolate itself," he opined. "The US is trying, through the dollar, to impose pressure on the economies of other countries, but in the end it will lose this war." Sermin, who lives in Incirlik, believes that Turkey will build friendly relations with neighboring countries, Russia, China, Iran and others, but will never become an American client state. Meanwhile, the region's politicians also voiced their protest against the US military presence in Turkey. 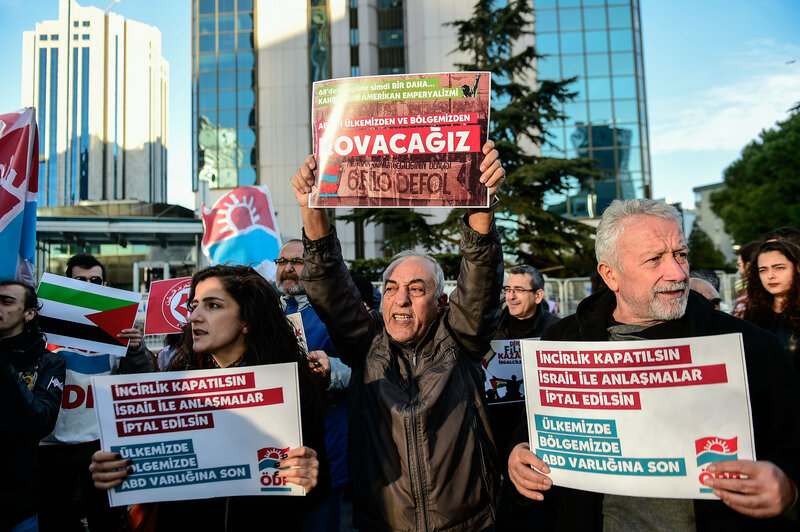 "We do not want the military of any country to be present on the territory of Turkey," said Selver Kaplan, the chairman of the regional branch of the non-parliamentary left-wing party Vatan in Adana. "The US military must leave the Incirlik base; 95 percent of Turkey's population opposes the presence of Americans in Incirlik. The military base should be handed over to the Turkish military. In addition, Turkey must withdraw from NATO." She was echoed by Sevil Araci, the chairman of the regional branch of the Labor Party (EMEP) in Adana, who opined that "Incirlik and all other American bases located in the region are directed against the local population." "The Incirlik base does not protect Turkey, on the contrary, it poses a serious threat to Turkey. So, we demand that this base should be closed. We have long been fighting for it," Araci underscored, adding that instead of boycotting the dollar, Ankara should close Incirlik and other foreign bases on its territory in the first place. Mustafa Gozutok, the chairman of the regional branch of the traditionalist Saadet Partisi (Felicity Party) in Adana, ardently supports this approach. "The Incirlik base poses a serious threat to us," he said. "It is not the first time the US has imposed sanctions on Turkey. In 1964 and 1974, Washington introduced an embargo against our country. Today, we must respond to the American sanctions, and close the Incirlik base." Gozutok emphasized that it is time for the Turkish government and the opposition to team up and demonstrate solidarity in the face of the US economic offensive. "Turkey should not remain silent," he stressed. The Incirlik Air Base is the home of the 39th Air Base Wing (39 ABW) of the US Air Force. It was built in the beginning of the 1950s. In 1954 the Turkish General Staff and the US Air Force inked a joint-use agreement for the new base.